Youth in military families experience a relatively unique set of stressors that can put them at risk for numerous psychological and behavior problems. Thus, there is a need to identify potential mechanisms by which children can gain resiliency against these stressors. One potential mechanism that has yet to be empirically studied with military youth is social networking sites (SNSs). SNSs have gained significant popularity among society, especially youth. Given the significance of these communication tools in youths’ lives, it is important to analyze how SNS use may affect military youth and their ability to cope with common military life stressors. 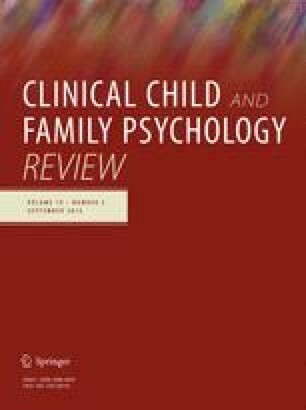 The current review examines the potential positive and negative consequences associated with SNS use in coping with three common stressors of youth in military families: parent deployment, frequent relocation, and having a family member with a psychological or physical disability. By drawing from SNS and military literature, we predict that SNS use can be a positive tool for helping children in military families to cope with stressors. However, certain SNS behaviors can potentially result in more negative outcomes. Recommendations for future research are also discussed. The authors wish to thank Dr. Jeffrey Hall for his helpful comments and suggestions on an earlier draft of this manuscript. This study had no external funding. This is a review article, and thus, contains no data from human participants collected by the authors. Department of Defense Education Activity. (2011). Military K–12 partners: A DoDEA partnership program. http://www.militaryk12partners.dodea.edu/index.cfm. Lenhart, A., & Page, D. (2015). Teen, social media and technology overview 2015. Pew Research Center. http://www.pewinternet.org/2015/04/09/teens-social-media-technology-2015. Pincus, S., House, R., Christenson, J., & Adler, L. (2005). The emotional cycle of deployment: A military family perspective. http://www.hooah4health.com/deployment/familymatters/emotionalcycle2.htm. PR Newswire. (2015). Facebook reports first quarter 2015 results. http://www.prnewswire.com/news-releases/facebook-reports-first-quarter-2015-results-300070539.html. Twitter. (2015). Twitter usage/company facts. https://about.twitter.com/company. Vitak, J. (2014). Facebook makes the heart grow fonder. In Proceedings of the 17th ACM conference on computer supported cooperative work & social computing—CSCW’14, pp. 842–853. doi: 10.1145/2531602.2531726.